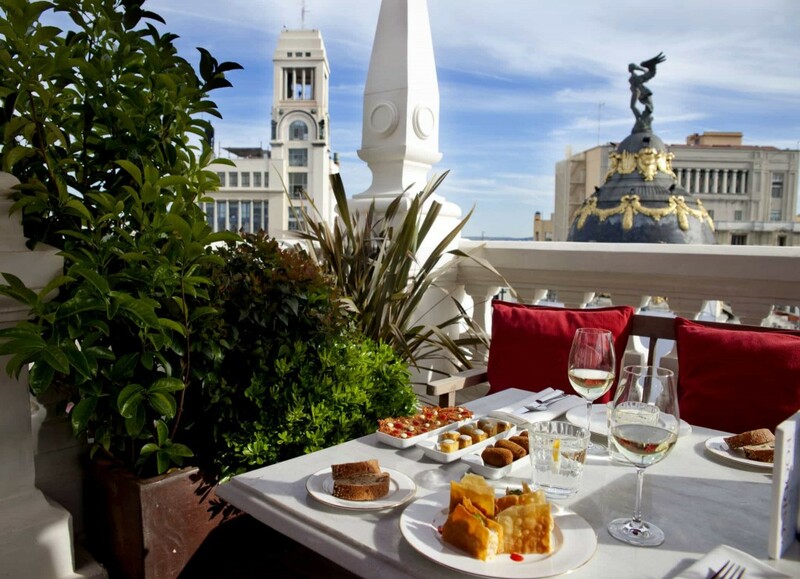 Can you picture yourself enjoying tapas with this view of the Gran Via in Madrid? Pic credit: Hotel Principal, Madrid. Panoramic views of the city overlooking the Circulo de Bellas Artes as well as the iconic Metropolis building are offered at the Principal. The roof terrace is the place to be but you can also enjoy the views from Atico restaurant by two Michelin-star chef Ramon Freixa. 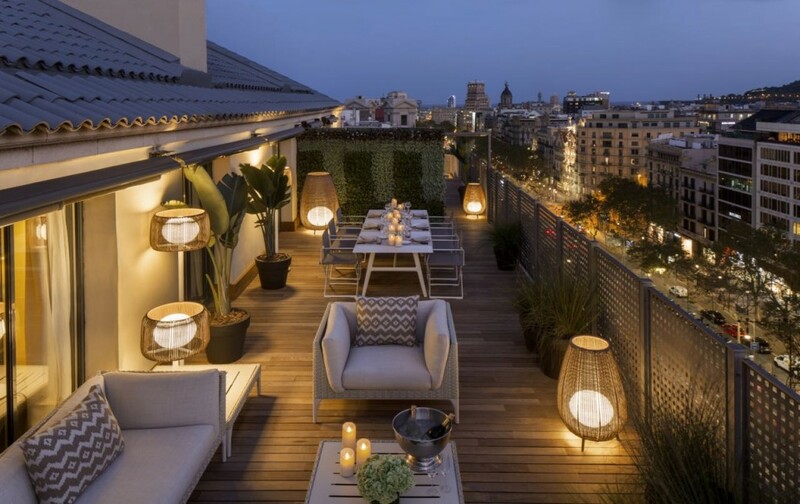 A member of the Small Luxury Hotels of the World, this new boutique hotel and the only five-star on Gran Via Madrid offers a range of suites with views so if you like to sightsee without wearing down too much shoe leather, this might be what you are looking for! Check out our Top 10 Things to Do in Madrid. Plaza Santa Ana is one of the liveliest squares for tapas in the city and you’ll be able to view it all from the hotel’s rooftop terrace and many of the bedrooms. 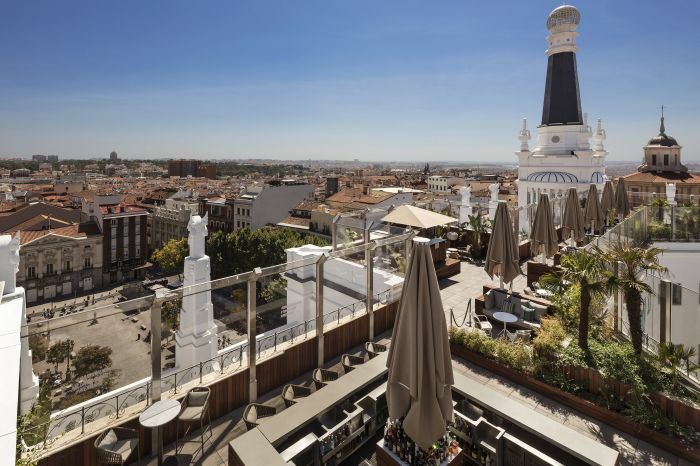 We included this rooftop terrace in our blogpost on the Best Places to Propose in Spain. But whatever you do while you are here, this is part of the Melia international chain, so you’re in safe hands. Ask your Totally Spain representative to request for you a suite with a view if you want to enjoy the buzz from afar after a long day sightseeing without having to leave the comfort of your room! Perfect if you want views but are driving and want to avoid downtown Madrid. 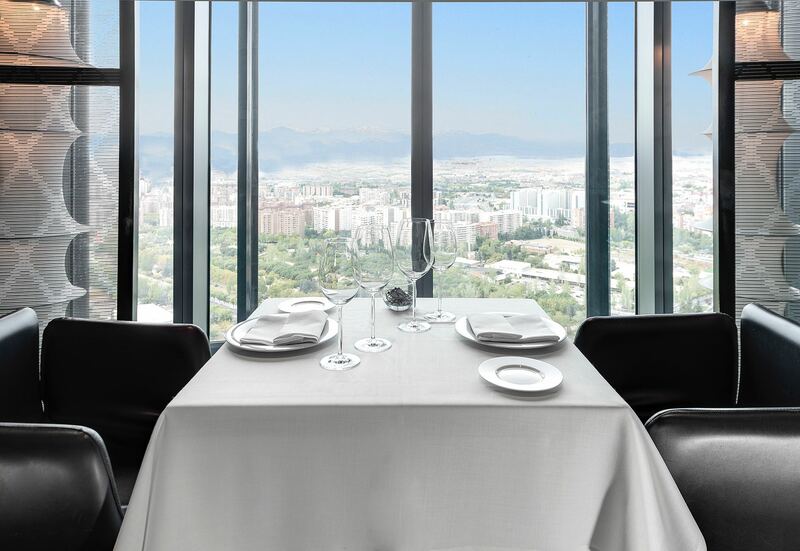 From here, enjoy great views of the city from its Volvoreta restaurant on the 30th storey. If you want the best views, choose from a range of suites that offer views of the Paseo de la Castellana or the equally impressive Guadarrama mountains. The Skyline Suite is pretty comfortable but if you really want to spread out, the presidential suite offers 110 square metres of luxury plus a chauffeur and housekeeping services. If you are driving or being driven, have a look at the best day trips from Madrid. 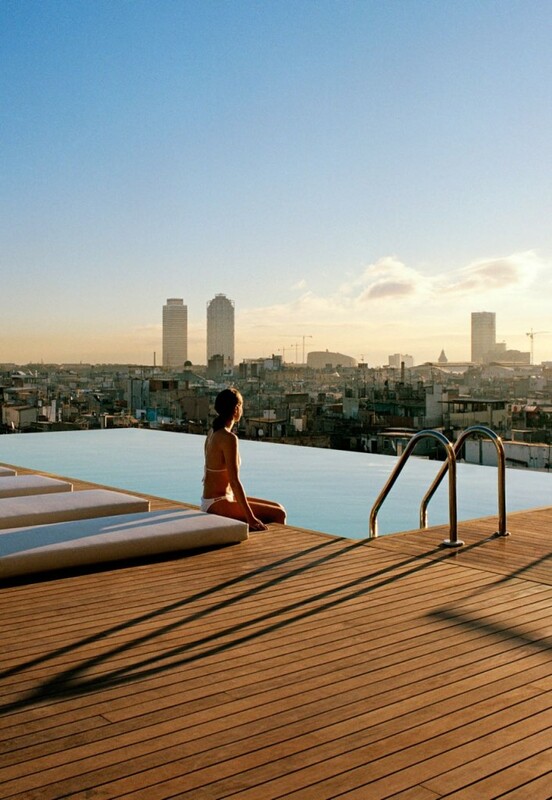 Not only does the poolside roof terrace have amazing views of the city and Gaudi’s wonderful architecture, but if you book a suite at the Hotel Majestic you can enjoy views of the city’s iconic landmarks including the Sagrada Familia while you breakfast in bed or relax in your outdoor Jacuzzi. Part of the Leading Hotels of the World, you really couldn’t ask for a better base in Barcelona. Check out our guide to the Sagrada Familia and the rest of Gaudi’s Barcelona. If you’d rather the Gothic side of the city with views of the cathedral, this is the place. The Skybar and its rooftop pool is all you could wish for and with the vibrant and hip Born neighbourhood nearby, there’s so much on your doorstep. Love architecture? You’ll be interested in the hotel itself which was constructed as a private residence in 1926 for the politician and businessman Francesc Cambo. His grandson Pau Guardans is now in charge and is also the owner of the Principal Hotel in Madrid. This iconic hotel in Bilbao stands literally in front of the Guggenheim. Jeff Koons Puppy could probably lick the hotel if it had a tongue. Opened in 2002 it has just completed a significant refurb. The designer of the hotel was Spanish artist Javier Mariscal who came to international attention for his work on the 1992 Olympics in Barcelona and his touch is still very visible throughout the hotel. For the best room views, ask for the penthouse suite which has its own private terrace overlooking the Guggenheim! 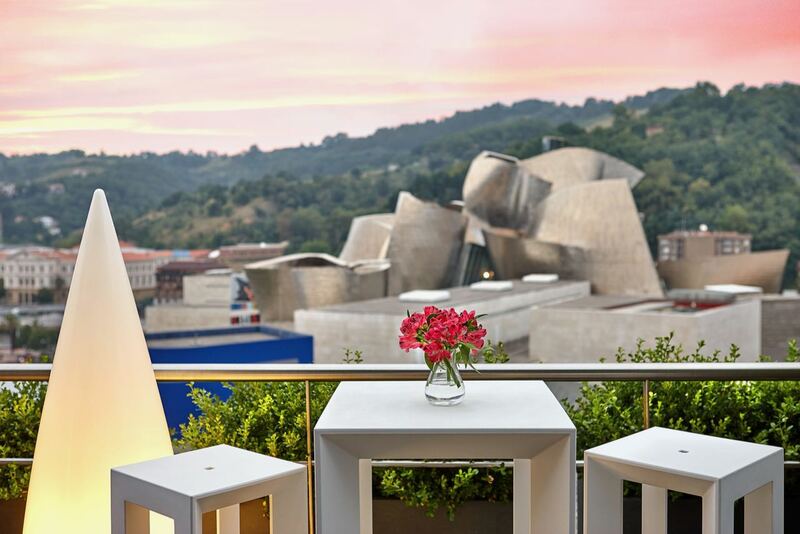 The rooftop terrace has some pretty wonderful views also so why not have a glass of chilled txacoli and some tapas overlooking Frank Gehry’s titanium jewel? See our guide to Bilbao and nearby day trips for ideas on what to do while before and after the Guggenheim. Everywhere you look in Seville you are surrounded with great views but this hotel has truly stunning views of the city’s cathedral, literally across the road from this modern and sleek boutique hotel. The hotel’s roof terrace is regularly used by film crews and TV stations for shooting the Seville skyline and is very popular during Semana Santa for its views of the processions. While in Seville, make sure to visit the Alcazar palace and gardens (Game of Thrones fans will recognise this place), enjoy a lazy lunch in one of the many stunning squares of the Santa Cruz neighbourhood, and take a guided tour of the cathedral and climb the Giralda. 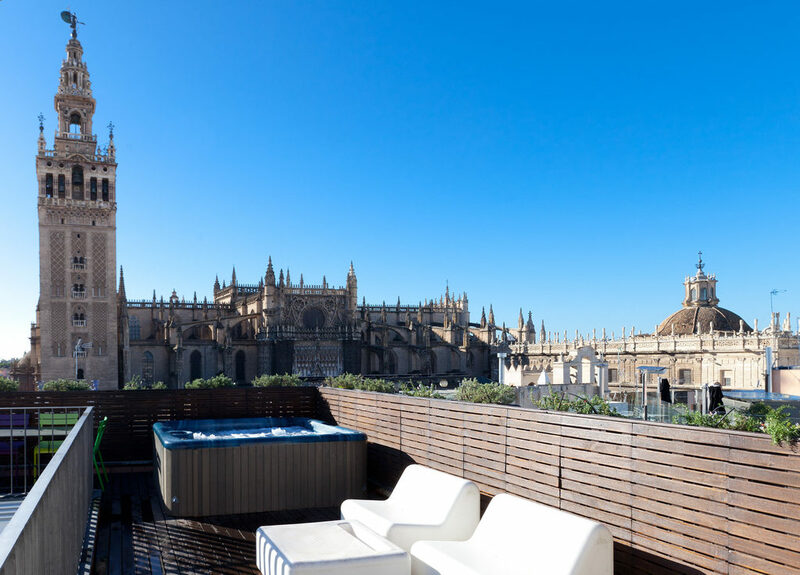 Relax from your endeavours on the roof terrace or if you take the suite, from the comfort of your own bedroom and private terrace with views of the cathedral! You can read more about Seville cathedral in our guide to the best cathedrals in Spain. The Alhambra is Spain’s most visited monument and with good reason. It is a spectacular UNESCO World-Heritage site that never fails to amaze. You should, of course, tour the site in the company of an expert private guide and explore the nearby Albaicin neighbourhood. But if you really want to absorb this space, do yourself a favour and book into the Parador here (which is literally inside the complex) which has stunning views of the Generalife. The Parador is actually a former monastery built on the site of a Nasrid palace and you can trace back its past in the Nazari room but you will probably spend most of the time on the terrace – especially pretty at night when you can enjoy drinks and meals to the sound of a Spanish guitar with the illuminated Alhambra in the distance. Ask for a room with a view so you can see the UNESCO-gem just before you go to sleep and when you open your eyes again in the morning. If you’d like to know more about expert local guide and drivers in Spain, check out The Benefits of Hiring a Private Guide & Driver. Located in what was the site of the town hall, right beside the New Bridge, you really couldn’t be any nearer to the precipice. Book a duplex room with a view so you get the maximum exposure to this location. You’ll want to have a swim in the pool, tour the town and take in the old Arab medina quarter, the bullring and also the impressive Alameda del Tajo – and perhaps book a private driver to visit some of the other white villages in the area – but make sure you keep plenty time for the Parador itself. Ask for a room with a balcony overlooking the gorge. 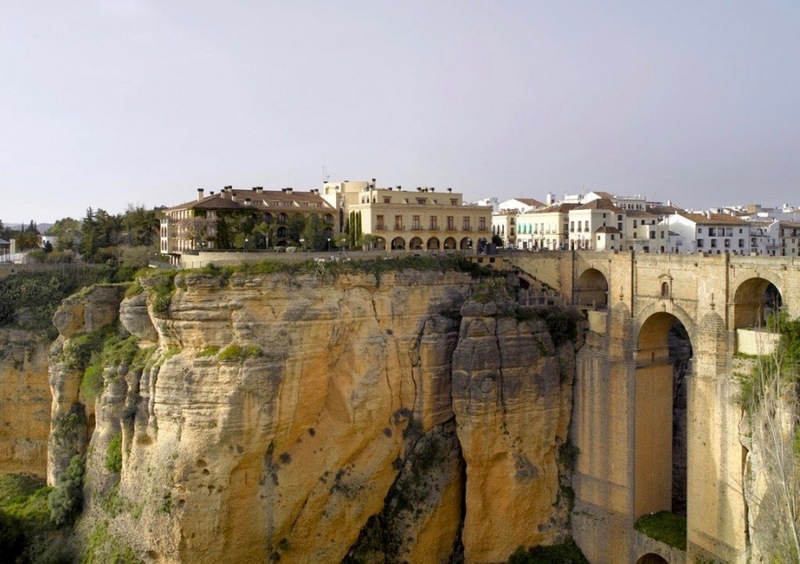 If you’re interested in visiting the Puente Nuevo and more of Spain’s iconic bridges, check out the Best Bridges in Spain. 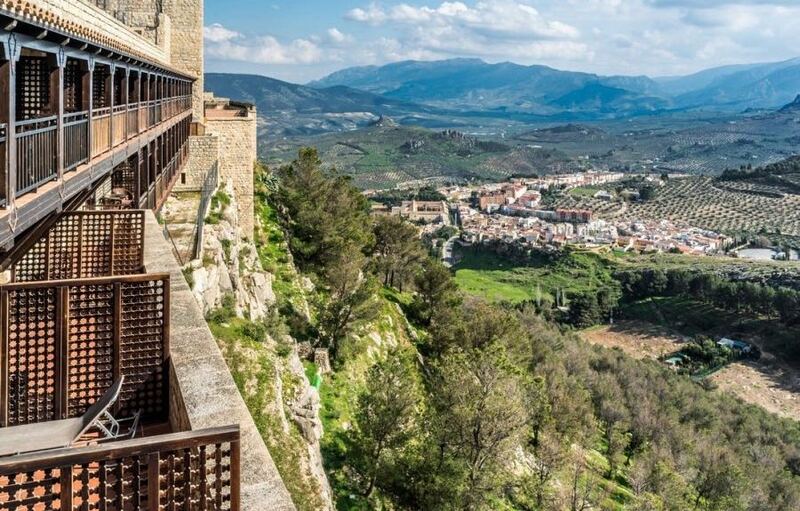 Standing on Santa Catalina Hill, these panoramic views of Andalusia (from the comfort of your own room inside Santa Catalina Castle) are truly unique! This castle dates back to the 8th century and offers amazing views of the River Guadalquivir. The city of Jaen is just five km away and has a charming old quarter, plus Arab baths and a wonderful Fine Arts Museum, and you’ll probably want to visit nearby Ubeda and Baeza (an hour away) as well. We recommend visiting an olive oil co-operative in the area – this is the Olive Oil Capital of the World after all. Ask for a room with a terrace to experience the early morning views of the olive groves and the surrounding countryside. 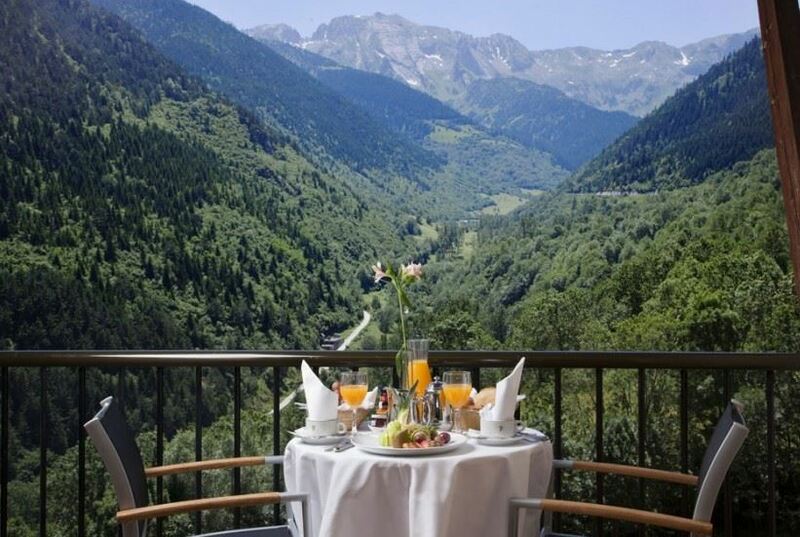 If you are looking for the great outdoors and want a comfortable base with spectacular views, we highly recommend basing yourself at the Parador in Vielha where you get to savour the beauty of Pyrenees and its cuisine. Vielha is a really interesting town where you’ll find an old quarter, palaces, churches, museums and artisan stores, and great bars and restaurants plus plenty of skiing and hiking stores. You’re also closeby Catalonia’s national park at Aigüestortes which is a must-see. Retire to your parador after a day’s hiking and relax at the spa or unwind by gazing at the wonderful views of the Valle de Aran. We feature this parador in our guide to The Most Impressive Paradores in Spain which you might want to reference if you’d like to know about more of the great paradores in Spain. If you have any interest in wine or modern architecture or both, this is the hotel for you. 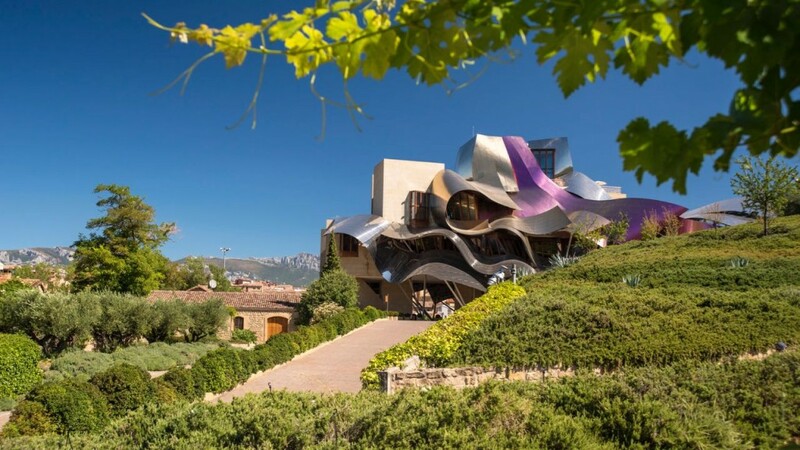 Designed by Frank Gehry shortly after he completed his Guggenheim in nearby Bilbao, it’s one of Spain’s most famous wineries in Spain. Book yourself in for a tasting menu at the 1860 Michelin-star restaurant and don’t forget some pampering at the winery spa. 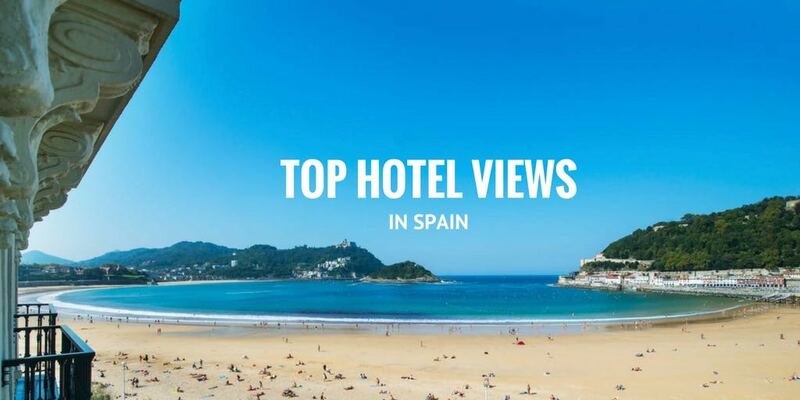 Views throughout the hotel are spell-binding –taking in either the vineyards, the village and the mightily impressive Cantabrian Sierra mountain range. Part of the Luxury Collection group, the name here is entirely apt. 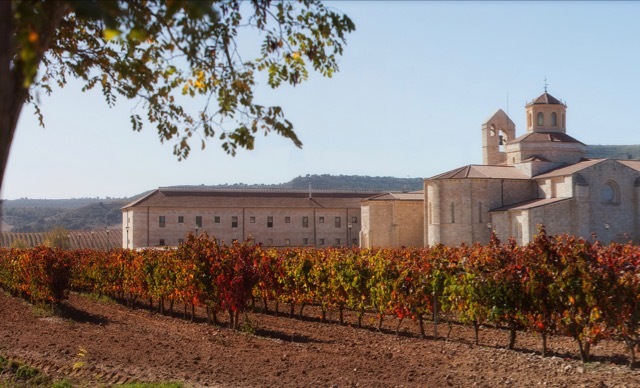 Your stay will include a complimentary tour of the winery but you should really venture out and explore another one or two in the Rioja region. Read up on our Visit to Laguardia and La Rioja Alavesa Wineries. This magnificent, historical 5-star hotel has been meticulously renovated and oozes character and charm with its blend of old and new. And the location couldn’t be better – it’s right beside the Golden Mile of wineries in Ribera del Duero! 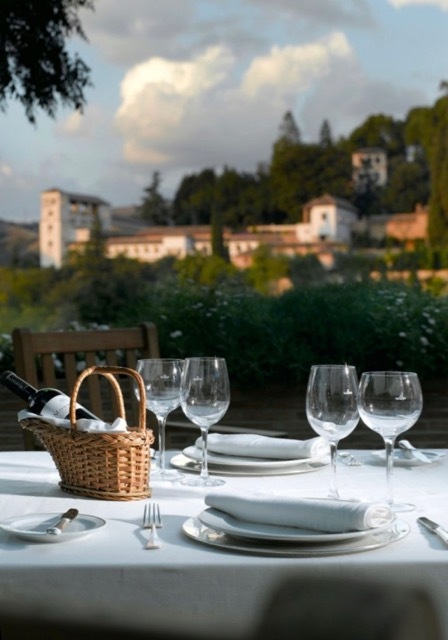 The hotel’s spa is very impressive – and the San Bernardo spring water has been used for centuries by the Cistercian monks to irrigate the grapes to great effect! Visit some of the Best Alcazars & Castles in Spain nearby and explore more the wonderful Ribera del Duero Wine Region. Or simply stay here in situ and enjoy the hotel’s restaurants with a glass or two or the local vino to relax and restore the batteries. 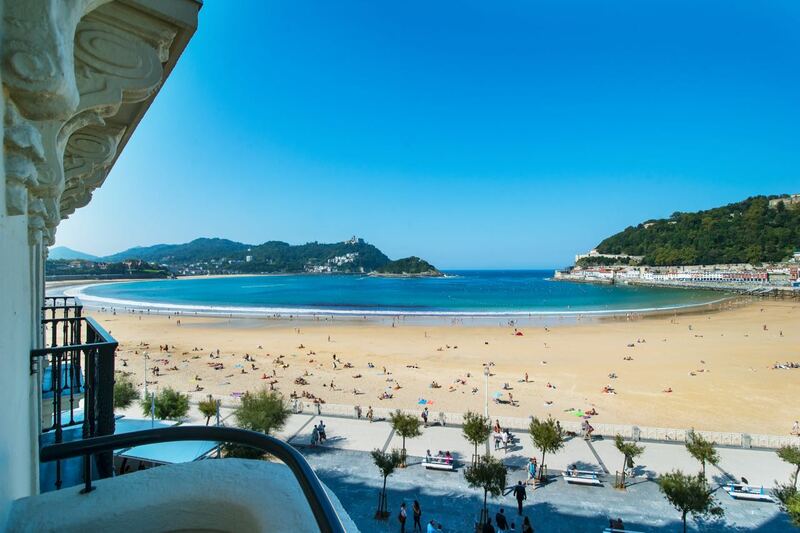 San Sebastian is all about the food and the beach so if you stay here at this hotel, you’re really off to an excellent start! By all means you can take a pintxos tour in downtown Donostia and take a walk up to Monte Igueldo to get views from up on top, but we’d make sure to leave lots of time to relax in the hotel and take in the stunning views of La Concha beach at sunrise and sunset with some of the best local ingredients and drinks to complement the view. Request a room with a city or sea view and upgrade to a terrace or suite to get the best of all. If history if your thing, ask for the Mata Hari suite. Read more about Why San Sebastian is Always Worth Visiting. 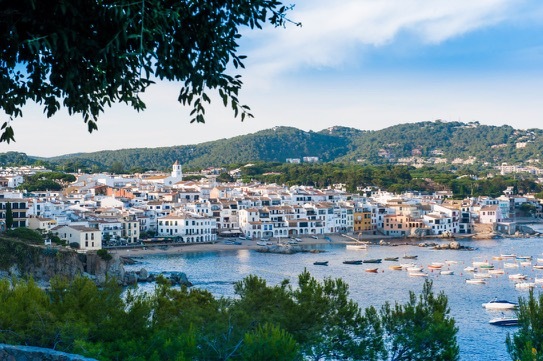 Calella de Palafrugell is one of the most charming destinations on the Costa Brava and this family-run hotel has amazing views of the whitewashed town and the crystal clear Mediterranean from its terraces and many of its bedrooms. Although it is just a 3-star, you’ll find many services on offer including two restaurants serving contemporary Catalan cuisine, the hotel bar, massage treatments, and bike, boat and kayak rentals. It’s a great base for daytrips. Ask your Totally Spain rep about their special duplex suites of which there are only two! Read all about Besalu, Girona, the Cami de Ronda coastal path and the Cap Roig Botanic Gardens in our post on Travelling the Costa Brava. 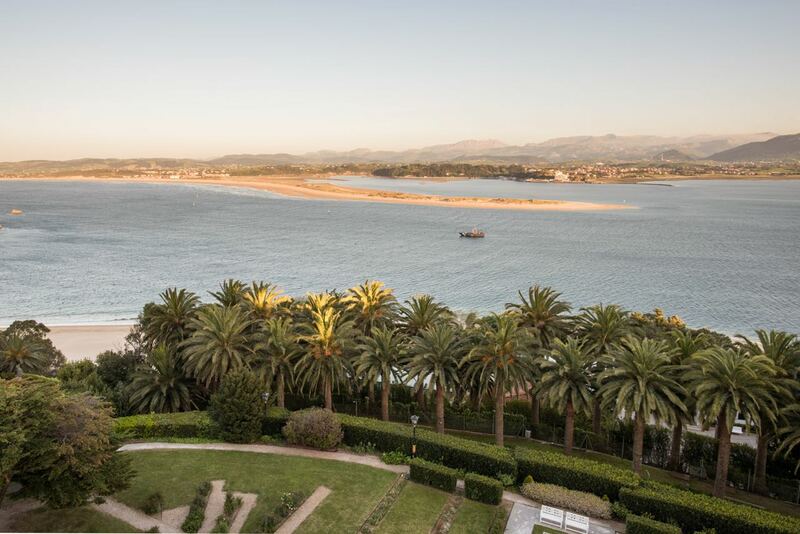 Enjoy the views of Los Peligros beach, El Puntal and the bay of Santander, one of the prettiest bays in the world, from the hilltop location of the Hotel Real that was built to accommodate the overflow from the royal family in the nearby Magdalena Palace. A short walk along Paseo Reina Victoria takes you to picturesque harbour of Puertochico and the Sardinero beaches – but you will probably be quite happy spending some time in the hotel’s impressive El Puntal restaurant, its grounds and thalassotherapy spa. Many of the rooms have sea views but if you really want to splash out, the Royal Suite inside the hotel’s iconic dome is where you’ll want to be – needless to say the views are spectacular. Read more about Santander and its brand new iconic Centro Botin. Posted in Accommodation, Getting Around, Paradores, Useful Information and tagged Andalusia, balconies, Barcelona, Bilbao, Costa Brava, hotels, Paradores, Pyrenees, Ribera del Duero, Rioja, rooftops, San Sebastian, Santander, sea-views, Seville, Spain, terraces, views, vistas.